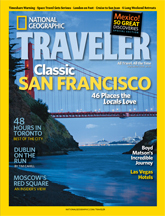 Traveler's September issue is now on newsstands, and with it comes a bevy of supplemental features online. -Get to know Classic San Francisco even better by visiting Traveler's online photo gallery, as photographer Susan Seibert offers insight and behind-the-lens lore. -Browse Traveler's picks of the best books, magazines, movies, and more to get to know Canada's largest city in the Toronto Destination Guide. -Get tips from insiders on how to keep your Korunas with our Free Prague guide. -Read Laura Morelli's latest column on authentic shopping, this time taking you on a journey through Irish countryside in pursuit of Irish crystal. I'm sure by now everyone's heard of the fabulous Bolt Bus and Mega Bus companies that allow you to ride the Eastern seaboard for as little as $1 each way. But (and I never thought I'd say this) this morning, I just read about something even better. Maybe it's that Canadians have to get a point up on us, but Canuck car rental company CityFlitz is offering rental cars for $1—or one loonie—per day. Pretty awesome, eh? I think so. So, with everything, there are a couple catches (but nothing, mind you, that would prevent me from renting one). For one, the service is only available in the Greater Toronto Area (though they're looking to expand to Vancouver), and the car must stay within those limits. The driver must also drive the car about 19 miles (30 kilometers) each day the car is rented. Oh, and each car is basically a mobile billboard, advertising brands like Yahoo, North by Northeast Film & Music Festival, and Global Ryan’s Petfoods, according to a recent report. The bonuses? You get to drive a MINI Cooper or a Smart Car, and each car has Wi-Fi access. And it's $1. That's one dollar Canadian. You can't even buy a bottle of maple syrup for that. 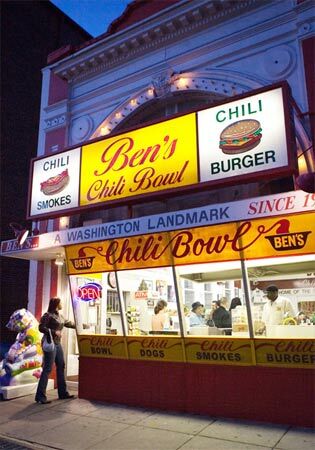 John Ur pahks his cahr in Massachusetts for this week's Cinematic Road Trip column. Ask any Massachusetts resident where they live and the answer will almost always be measured by their proximity to Boston. Like its rival to the west (New York), Massachusetts has a tough time establishing its identity outside of its largest city. And, being about 1/5th the size of New York by total area (and in the throes of a major baseball rivalry) it's hard not to occasionally think of the state as having a bit of a Napoleon complex. But this is not to denigrate the rest of the state. 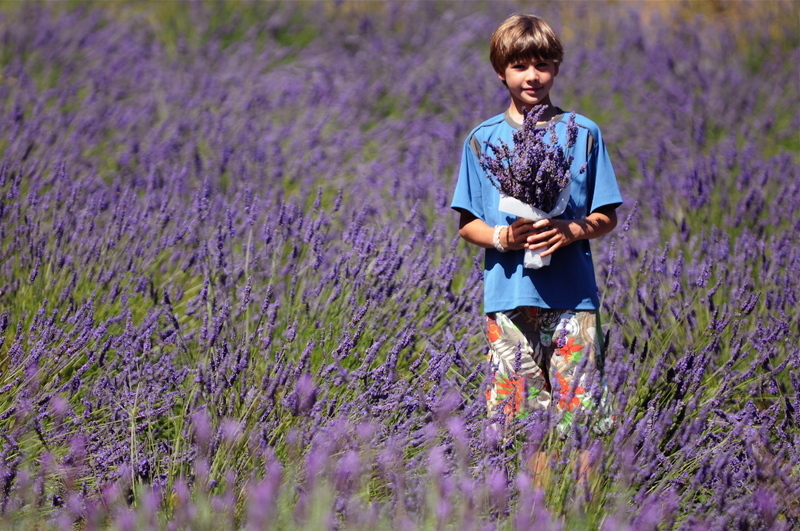 In the west are the Berkshires, one of the state’s largest tourist attractions any time of the year. Thousands come to the area to stay in the rustic B&Bs in the highland hills, where rivers slice through the many valleys. And just try to make it out onto Cape Cod's classic beaches (locally referred to just as “The Cape”) during a summer weekend and you’re likely to be backed up in traffic for a few hours with about 100,000 of your closest friends. 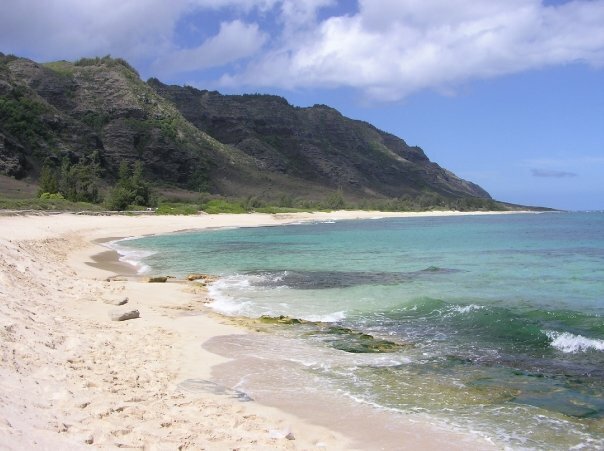 Like the Hamptons, or the Jersey shore, you do whatcha gotta do to get to the beach. 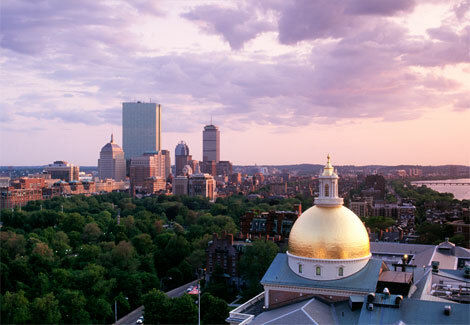 But there are few cities in the country that have as strong a cultural identity as Boston. You don’t need me to tell you that Boston has a storied history. Founded by Puritan colonists in 1630, the city has come a long way from its conservative beginnings – as any of my Irish brethren who’ve celebrated St. Paddy’s Day there will tell you. Though its population is only 560,000 compared to New York’s 8 million, Boston imparts on you a sense that it is just as big and just as important as the next guy. How to best see Boston on screen? There is the obvious answer: Good Will Hunting. The Academy Award winning story of janitor/genuis Will Hunting (Matt Damon) is spliced with classic shots of Boston and Cambridge: Will and his counselor, Sean Maguire (Robin Williams) have a heart-to-heart in the Public Garden. Will rides the Red Line T train through the city to MIT, where he mops floors and solves math problems on the side. Will drinks and jokes and horses around with his buddies (played by Ben and Casey Affleck) at Woody's L Street Tavern in Southie, then heads up to Harvard's Dunster House to hang with his girlfriend (played by Minnie Driver). But beware casual viewer! Those shots that you don’t seem to recognize from Boston may very well not be; several scenes, including those in the lecture hall and the college bar, were shot in Toronto. Our friends over at National Geographic magazine have a terrific story in their September issue about Bolivian women wrestlers. In the mountaintop town of El Alto, these cholitas slam each other onto the mats while dressed in sequined petticoats and bowler hats. The piece, by Alma Guillermoprieto, explains that the fighting cholitas see themselves as symbols of strength: Their opponents include bigotry and sexism. "My goal," says one fighter, "is to lift up indigenous women, who have been treated with contempt." Check out the video slideshow of the women below. Rainer Jenss and his family are in the midst of a yearlong around-the-world trip, and they're blogging about their travels here at IT. Keep up with the Jensses by bookmarking their posts here. I am a big fan of Michael Palin for two reasons. First and foremost, I love Monty Python. But perhaps my favorite work of Palin's comes not by way of his comedy, but for the series of travel documentaries he produced for the BBC over the past 20 years that feature him traveling Pole-to-Pole, Around the World in 80 Days, and Full Circle. What I'm particularly intrigued by is that he makes it a priority to travel over as much physical landmass as possible during each of his journeys and whenever possible, does so without the use of aircraft. His objective is to capture the true essence of what lies between different geographical locations, gaining the perspective that distance, space, and time provide. In retrospect, watching these programs probably helped influence our decision to travel around the world for a full year, without stopping or coming back home for the duration, as much as anything else. As a frequent business traveler, I have taken my fair share of cross-country flights from New York to the West Coast, and noticed that rarely do passengers look out the window or know where they are during the roughly six hours on board the plane. Instead, we get in our seats, sleep, eat, read a book, work on our laptop, or watch a movie and then BAM - we step out into a different city thousands of miles away that still speaks English, and has plenty of Starbucks and copies of USA Today. Frequent flier is really a more accurate term for who we are and what we do. After all, a true travel experience provides you with a sense of place, something a cross-country flight just can't capture. Never before had I had the time or opportunity to do it the Michael Palin way, until now. For the last six weeks, I've blogged about our family's cross-country trek that took us through 18 states (and two provinces in Canada), covered 7,600 miles, and didn't find us in a single airport. We witnessed incredible scenery, met warm and friendly people, and experienced the country in a way too few people get a chance to do, along one continuous trail from one coast to the other. As a result, I don't think any one of us will quite look at a map of the U.S. the same way again, or board a plane without appreciating the distances they cover and landscapes they fly over. So as we drove into Seattle six weeks after we left home, we celebrated the fact that we had now officially driven across the country, and there was still so much more to see and do. 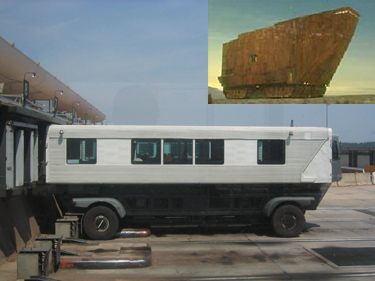 I nearly missed a flight out of Dulles Airport two weeks ago, thanks in part to the tiresome "mobile lounges" straight out of Star Wars (apparently, Jaunted has dubbed them Jawa Sand Crawlers) that shuttle passengers from the main terminal to their gates at a pace that a snail would envy. So I was happy to hear in the Washington Post that Dulles Airport recently announced plans to build an underground AeroTrain that will transport travelers at a much quicker pace (they'll leave every two minutes), and restore the light and airiness that was intended for the terminal's original design. And on an even better, eco-friendly note, the new trains mean that the airport will faze out the diesel-fueled behemoths, which often had to wind between planes as they taxied to the gate. But I'm wondering, what do you frequent fliers think of the switch? Are you Star Wars fans going to miss the chance to feel like Hans Solo before your flight? As if we haven't already spent the past two weeks either glued to our TV screens watching the Olympics in Beijing or scanning news articles about China from every socio-political-cultural-economic angle that reporters can dig up (or reading blogs from lucky friends actually attending the games), here we are with yet another take on Beijing. This comes from a young Chinese writer and filmmaker from Beijing named Xiaolu Guo, whose newest novel to be published in the U.S. is called Twenty Fragments of a Ravenous Youth. Don George, in this month's Trip Lit column, writes that the book "is an elliptical antidote to the predictable portraits of Beijing and China that are bound to dominate the media during the Beijing Olympics." The story follows teenager Fenfang Wang from her rural Chinese village to Beijing, where she drifts into a job playing an extra in movies. Her relationships—with a movie production assistant, an American student, a Chinese artist—fare about as well as her career prospects. The novel's disaffected, wry, and very contemporary voice is the total opposite of those cute-as-anything fuwa Olympic mascots. The book's main character, Fenfang, says, "Beijing is the least romantic place in the whole universe." Are you surprised a travel magazine would be recommending your book, when Fenfang paints such an unromantic picture of Beijing? I’m not surprised. The best travel literature shows the truth about a place, blemishes and all. But of course the novel isn’t a travel piece; it’s literature which paints a very subjective and personal image. The only truth here is one of human emotion. Twentysomething Fenfang is clear-eyed about China's economic boom. She says, "Despite the boom, everything felt as it always had been. Same old vinegar, just in a new bottle." When hutongs are knocked down and replaced with new towers, she's not sentimental about the old, saying they're grey, cold, and cramped. But what do you think is old and authentic that's worth saving in Beijing, and conversely, what do you think of the new that's positive? Fenfang is representative of a confused generation in a confused time—that being contemporary Chinese society where all the ideology and values are fighting against each other, yet trying to survive in one space. The conversation—what’s positive, what’s negative—is not reflected in the material results of China’s economic boom but in the deeper thoughts on values. Old values, i.e., the respect of family and the older generations, are being swept away by the new ones in which money is one of the critical measurements of one’s position to society. But at the same time these new values are being questioned and replaced by the profound “old” way of thinking and living. The thing we must continue to do is search for the balance between the so called "new" and "old. "